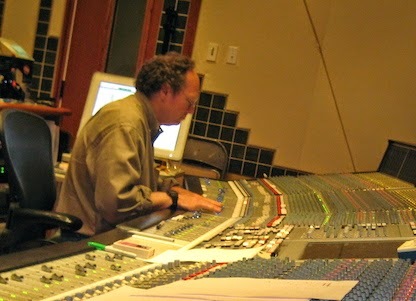 One of the best engineers on the planet is my good buddy Ed Seay, who has a long history of mixing hits for country greats like Blake Shelton, Lee Brice, Martina McBride, Ricky Skaggs, Dolly Parton, Pam Tillis, Highway 101, and Collin Raye, among many others. Ed has a great way of explaining how he equalizes a track that he so kindly shared in my Mixing Engineer's Handbook 3rd edition. "I just try to get stuff to sound natural, but at the same time be very vivid. I break it down into roughly three areas: mids, the top and the bottom; then there’s low mids and high mids. Generally, except for a very few instruments or a few microphones, cutting flat doesn’t sound good to most people’s ears, so I’ll say, "Well, if this is a state of the art preamp and a great mic and it doesn’t sound that great to me, why?" Well, the mid range is not quite vivid enough. Okay, we'll look at the 3k, 4k range, maybe 2500. Why don’t we make it kind of come to life like a shot of cappuccino and open it up a little bit? Then maybe I’m not hearing the air around things, so let’s go up to 10k or 15k and just bump it up a little bit and see if we can kind of perk it up. Now all that sounds good but our bottom is kind of undefined. We don’t have any meat down there. Well let’s sweep through and see what helps the low end. Sometimes, depending on different instruments, a hundred cycles can do wonders for some instruments. Sometimes you need to dip out at 400 cycles, because that’s the area that sometimes just clouds up and takes the clarity away, but a lot of times adding a little 400 can fatten things up. On a vocal sometimes I think, "Does this vocal need a diet plan? Does he need to lose some flab down there?” Sometimes we need some weight on this guy so let’s add some 300 cycles and make him sound a little more important. It’s kind of contouring. Also frequency juggling is important. One of the biggest compliments people give me is that they say, “You know, Ed, on your mixes, I can hear everything.” There are two reasons for that. One is, I’ve pushed things up at the right time when they want to hear it, but the other thing is I don’t EQ everything in the same place. You don’t EQ 3k on the vocal and the guitar and the bass and the synth and the piano, because then you have such a buildup there that you have a frequency war going on. Sometimes you can say, "Well, the piano doesn’t need 3k, so let’s go lower, or let’s go higher." Or, "This vocal will pop through if we shine the light not in his nose, but maybe towards his forehead." In so doing, you can make things audible and everybody can get some camera time." To read additional excerpts from The Mixing Engineer's Handbook 3rd edition and my other books, go the excerpts section of bobbyowsinski.com. Ha! I like the way he describes his process. I found this blog a couple weeks ago after watching your Mastering course on Lynda.com. I really like your teaching style and I'm looking forward to learning more from you!